Land Rover Freelander information: everything you need to know if you own a Land Rover Freelander, are thinking of buying one or just want to find out more about the Freelander 4x4. Click on the links below for all of CAR Magazine’s news, reviews, videos, scoops and spy photos of the Freelander car range. The Freelander is a five-door, five-seat SUV that came with the option of a petrol V6 or four-cylinder turbodiesel engine, both of which offered decent grunt and there were stop-start versions available. This car was replaced by the Land Rover Discovery Sport in 2015. Click here for more Disco Sport stories. 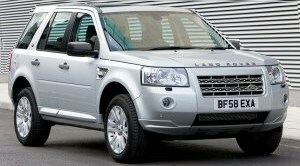 For more information on the Land Rover Freelander, click on our further stories on the links below.